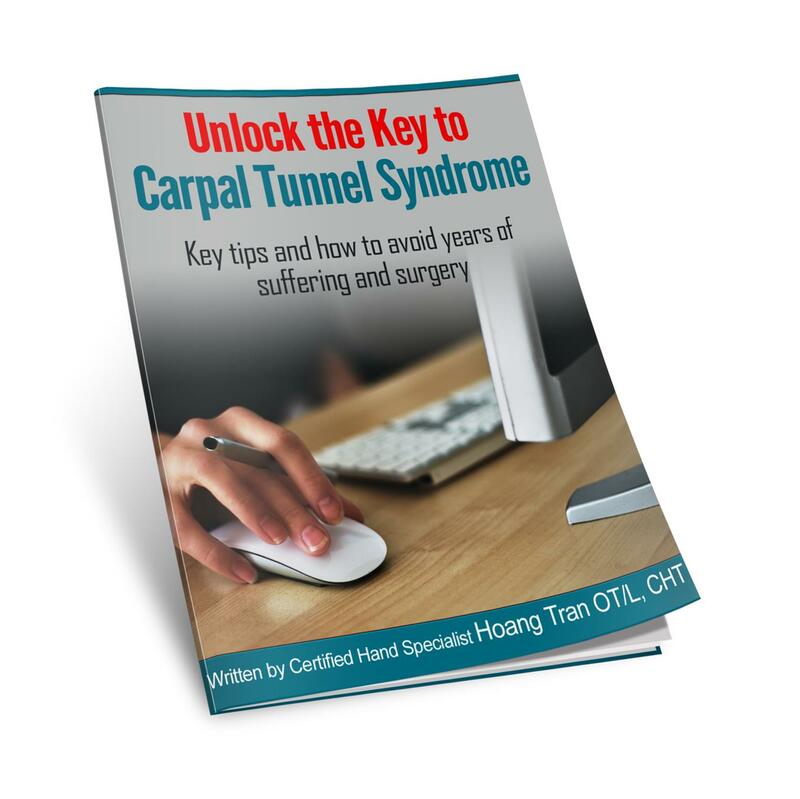 Are you someone that thinks you have Carpal Tunnel Syndrome but you are just UNSURE exactly what’s going on and how to get rid of it? Are you FRUSTRATED because you know you have carpal tunnel syndrome and still have hand pain and numbness that is just NOT getting better even with braces and therapy? Are you WORRIED about what will happen if your hand pain and numbness get worse and you want to AVOID surgery? If that’s happening to you, you’re not alone – we hear this type of thing all the time. In fact, Carpal Tunnel Syndrome is one of THE most common problems that people THINK they have and we help them get clarity on what is happening to their hands and provide them with the solutions here at Hands-on Therapy Services. Another one we hear is that people go to the doctor and are told to stop doing whatever it may be that is causing the pain and numbness. They just given pills, offered injections, and told to wear a brace. Very few are offered physical or occupational therapy. We know it can be confusing to know what to do since there are so much information out there. Everyone has something to say about what you should or shouldn’t do. What’s worst is if you DID go to therapy and were disappointed in the results because you did not get rid of the pain and numbness fully. So you may think therapy doesn’t work. This confusion can lead many people to procrastinate about what to do next because no one wants to get it WRONG. You thought it would go away on it’s own – and it didn’t. And you are trying to “not use your hands too much”. You went to the doctor and he told you to wear a brace, or offered injections. You friends or family told you that it’s because you are using the computer too much and that it’s “normal”. You tried a few stretches and exercises that people told you would help and it maybe did a little but you still can’t do everything you want to be able to do. You tried changing how you sleep, and not sleeping on your arm but you keep waking up in the middle of the night. So, if any of this has happened to you, then we invite you to request a call with our specialist or Apply for our Free Discovery Visit. Give yourself an opportunity to find out what is going on with your hand pain and numbness, and find out what can be done to get rid of it. First, get help to make a faster decision about what can be done to get rid of hand pain and numbness so you don’t have to keep living with it, worrying about that it means if it keeps getting worse. Lots of people wait too long because they are unsure, and that leads to damage of the nerve and muscles that you CAN NOT recover from. Don’t let that be you. Do the right series of stretches and exercises so that you can get rid of the pain and numbness for good. The right exercises prescribed by our hand specialist can get rid of the problem and help you avoid unnecessary surgery. Avoid consistently moving it in a way that makes your Carpal Tunnel Syndrome worse. What might feel good for a few minutes, could actually be making your problem worse. Get real hands-on treatment – the right occupational/physical therapy program is proven to help get rid of problem and avoid injections and surgery. Here at Hands-on Therapy Services, we commonly treat Carpal Tunnel Syndrome pain so that it doesn’t get worse and avoid repeated injections, and surgery. Get back to being more active, sleep better, and stop hand pain and numbness from driving you crazy and waking you up at night! Get rid of the pain – often you will feel the results from a few sessions. We can help you sleep better and get back to doing activities like “normal” like you haven’t been due to hand problems. We can help you save time from spending unwanted hours in doctor’s offices. Give you time back to enjoy for yourself and your family without being slowed down by chronic Carpal Tunnel Syndrome. Listen to success stories of people just like you with hand problems get the clarity they needed.